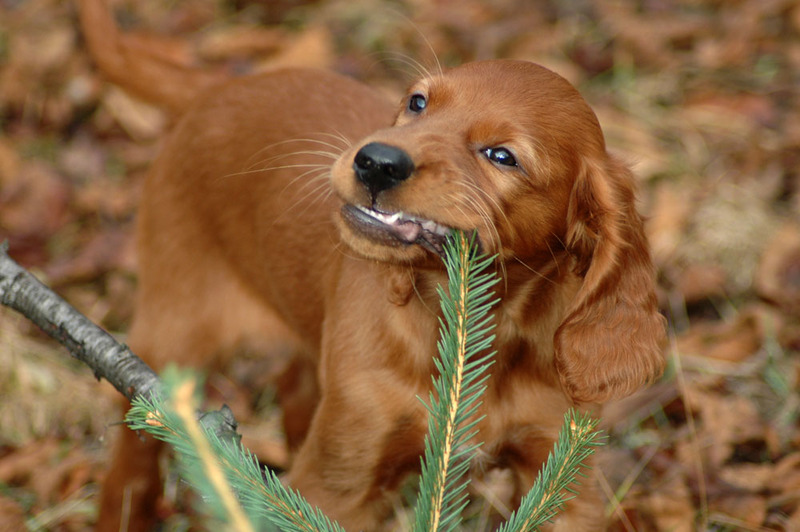 There are many kinds of Spaniard breeds but Cocker Spaniels seem to be the most popular. They have great gun dog instinct dating back to their English origins. They have very good temperaments for family life but have the capability for being great gun dogs. They are last on my short list because of their natural ability, but are more often used to be house or show dogs. Obviously of Irish decent, this breed is many times overlooked as gun dogs. These are beautiful dogs that can find you woodcock and go win a dog show the next weekend. A bit bigger than their Spaniel cousins, they have the same lush coats and fantastic water retrieving capabilities. A great, well-rounded, gun dog. Their origins are a bit hazy but the consensus is that their from Western Canada, mainly Labrador on the Atlantic tip of Canada. 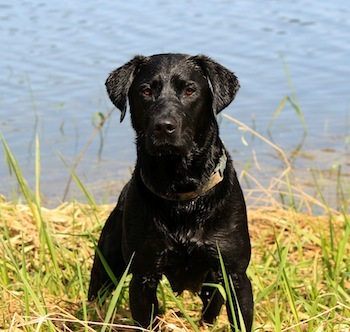 Known for their water capabilities, Labradors are build to fetch downed birds in cold water. Over the years they have been groomed to hunt on land and point. 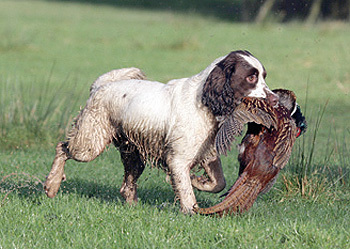 You can’t ignore their popularity as a family dog either making it high on our gun dog list. 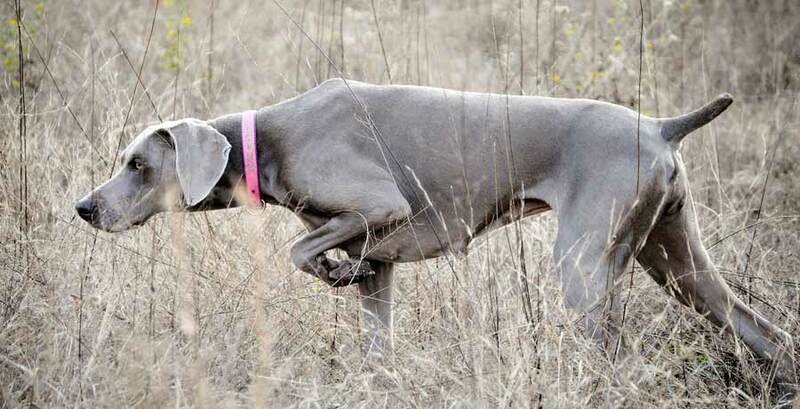 The Weimaraner is HIGLY overlooked as a top 5 Gun Dog. Originating from Germany, this breed was mixed with many other breeds to be able to hunt waterfowl and larger game. They are high energy with a strong and tall build, with a killer hunting instinct. You need to absolutely train these dogs, and keep them social with your family. If left in solitude they will be wild, family life is an absolute must. An amazing hunting dog, if you can get your hands on one as breeder are very rare. My first choice, and I must say I have a bias…I bought one! My top pick for this short list. 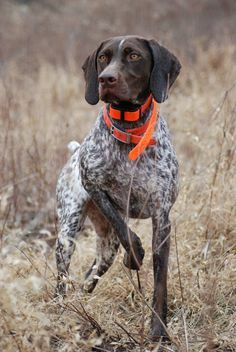 The GSP has a strong hunting, stalking and retrieving instinct. My GSP “Pepper” will stalk and point at anything from squirrels, birds and even the occasional fly around the house (she is known to eat them too…good girl!). They are high energy and need lots of exercise. This breed has been bread to hit the water with webbed paws and a short haired water resistant coat (not water-proof). I am personally training Pepper to hunt small game, retrieve downed pray in the water and also find sheds in the winter for my whitetail passion. GSP’s also need to be socialized with the family, you can’t leave them out in the yard. My dog will point out the most reclusive of partridge, but also cuddle up with you in the evening to keep the family company and safe. She is also what drove me to write this blog. In sum, it is important to choose a breed that matches your hunting and family’s lifestyle as they will not only be your hunting partners, but your partner’s in life for potentially the next 10-15 years. 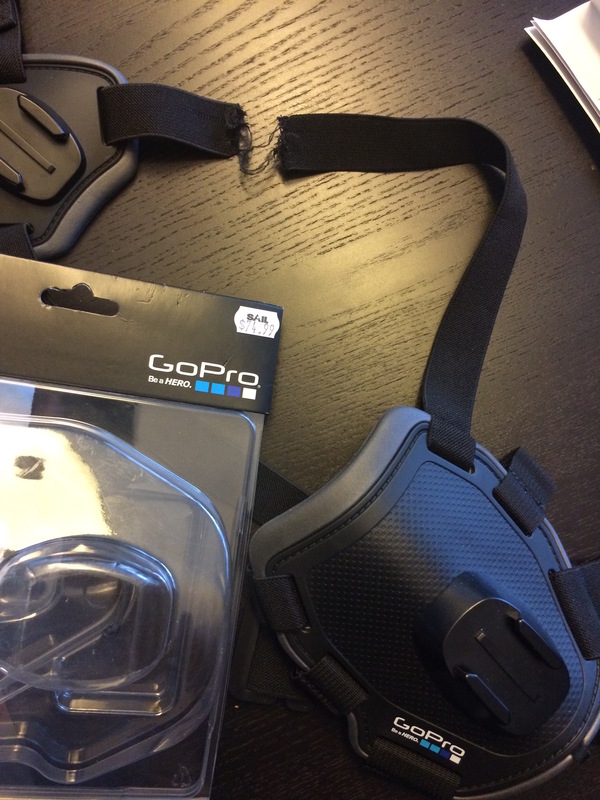 GoPro – Fetch….Not What I Was Hoping For! Today I was finally able to go out and buy the GoPro Fetch for my GSP Pepper. I’ve been dying to try this and couldn’t wait to see what kind of footage I could get while training her. It would let me get a much better perspective of what she’s doing and how she is seeing the world as we go along….If only I was able to afford more GoPro cameras! I couldn’t believe that the strap snapped in two! I JUST bought it this afternoon, and didn’t even get to go outside with it. Now it should be noted that I indeed read the quick instructions for this harness, as I needed to make sure I was attaching it properly. When I first opened the package, I wasn’t sure if the front plate was required to be on (It is not required and should be taken off for smaller dogs). As per instructions, my dog was not left unattended….especially with my new GoPro Hero4 attached, and there was no check cord or leash attached to it (it isn’t made for that sort of thing). In all fairness, the tear looks like it was just a weak link, a defect. In general, any of the GoPro products I’ve purchased are well-built. I try avoiding other manufacturers that make similar products, mainly because I hate buying things twice. I hope this is not going to be a complicated thing to exchange or return…I hope. This wasn’t an easy decision. There are so many different opinions, from reputable people, that it was hard to differentiate what would be the best for my pup! Veterinarians almost always tell you that dry food (kibble) is your best choice…although i keep reminding myself about how much of that is in good conscience for my pet and what portion of that opinion comes from the large companies behind them. Then there are endless debates and articles you can read about the raw meat diets, whether they be home-made or pre-packaged. Obviously there are pro’s and con’s to all of this, but that can be endless! I’ll give you some of the most recurring ones I’ve read and then show you what I have done. The potential benefits that raw meat diets have is very interesting. If you look at comparisons (article from http://www.dogfoodadvisor.com) where Raw meat and kibble were put side by side, raw meat had way more protein, and much less carbohydrates compared to your run of the mill kibble brands. Stool is more consistent, coats become brighter and the list goes on. I know that sounds scary, but it is no different then buying minced meat at the grocery store and not being careful. The frequency of handling is elevated, but proper cleanliness and a good preparation routine can make this con as important s you make it. So there you have it. The choice lies with you now. 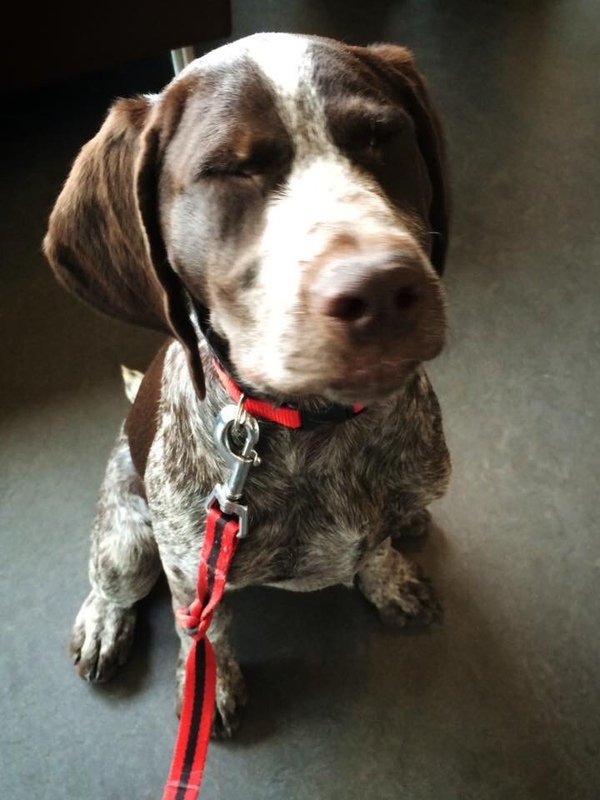 Seeing as my German Short-haired Pointer Pepper has been having digestive problems since we changed her puppy formula…My wife and I thought it would be worth the risk.